Your oral health care routine is spot on: You brush twice a day, you floss at least once a day, and you maintain regular visits to our dental office in Memphis. So why are you still at risk for tooth damage? Many of us have some dangerous dental habits that could lead to serious damage. We’d like to talk about the top five habits you should work on breaking to keep your mouth as healthy as possible. Lay off the ice! Once you’ve finished quenching your thirst with an ice-cold beverage, do you crunch on the leftover ice cubes? Don’t! The hard texture of the frozen delights can cause tiny tooth fractures and even create cracks in the enamel. Down the road, these tiny cracks may lead to big problems. Don’t use teeth as tools! We’ve all done it. Instead of grabbing a pair of scissors to open pesky packaging, we tear it open with our teeth. This isn’t what teeth are made for and this habit could lead to serious damage including broken teeth, chipped enamel, and weakened structure. Don’t use your teeth, grab the proper tool instead. Brushing shouldn’t cause you to break a sweat! One of the most common misconceptions is that the harder you brush, the more effective it is. However, if you brush hard, you could actually cause damage. Brushing should be done gently with a soft bristled brush for a minimum of two minutes. And no sweating allowed! Fingers don’t belong in the mouth! A nervous habit of many is to chew on fingernails. Not only can this habit lead to unsightly hands, it can also cause major tooth damage. Habitual nail biting can result in shifting, cracking, or even breaking. Keep fingers away from your mouth! Working to break these habits isn’t easy, but everyone at our dental office in Memphis is here to help. Talk to us about some of the habits that seem particularly hard to break. We’re full of useful information and would love to pass it on. Serving patients from Memphis, Germantown, Cordova, and nearby communities. Our old friend the sun has a bad habit of disappearing quite often during the winter months. During the few hours of daylight we do have, it’s usually too cold to go sit outside and soak up some rays, or we’re all stuck indoors at work. When the sun decides to hibernate during the winter, our most plentiful supply of vitamin D is compromised. That’s bad news to all of us at our dental office in Memphis! The sun — it can give us a mood boost, jump start our immune systems, and keep our planet from freezing solid. Of course it has other benefits like giving us a nice summer glow and keeping us warm. Perhaps the most important thing the sun does (at least according to us!) is supply us with a whole lot of vitamin D.
Vitamin D is a pretty cool nutrient that not only helps boost our immune systems, but also can lower blood pressure, help the pancreas produce insulin, and aid in the absorption of calcium. Since we all know that calcium is crucial for strong bones and teeth, vitamin D is super important for a strong, healthy smile. Having enough vitamin D is extremely important for your smile and your body. 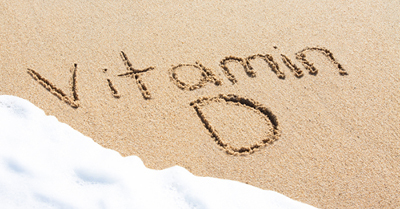 If you aren’t getting enough of it, you may develop a vitamin D deficiency. That’s serious stuff. In fact, research has linked a lack of vitamin D to osteoporosis, increased risk for type 1 diabetes, and even breast, colon, or prostate cancer. No matter how you take your vitamin D, make sure you have some daily. Not just for a healthy smile, but for a healthy body. As always, regular appointments at our dental office in Memphis can help keep both healthy for life. Do you suffer from sharp zings of pain while trying to enjoy your favorite hot or cold foods? Perhaps during a bite of a soothing popsicle or a sip of comforting hot tea, all of the sudden, it’s less about “Yum!” and more about “Ouch!” If your teeth are keeping you from the hot or cold foods and drinks you love, our dental office in Memphis is here to help. Healthy, non-sensitive teeth have a hard layer of enamel that protects the inner anatomy where all the nerves and roots live. When this protective layer is worn away, chipped, or exposed through gum recession or eroded enamel, the nerves are at increased risk for coming in contact with hot and cold foods and drinks, resulting in pain. 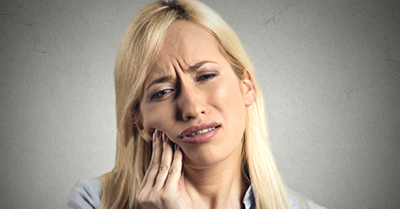 Once teeth become sensitive, there are a variety of ways to ease the pain. First and foremost, proper oral hygiene is key to keeping teeth and gums healthy, and enamel strong and protective. Make sure to brush (gently) twice a day, floss once a day, and visit your dentist in Memphis regularly. Additionally, choosing the right toothbrush and toothpaste can keep sensitivity away. Select a brush with soft bristles and toothpaste without sodium pyrophosphate, which may contribute to sensitivity. Suffering from sensitive teeth isn’t fun and can keep you from enjoying your most favorite foods. If you’re dealing with the pain of sensitivity, call our dental office in Memphis. We will work together to determine what caused the sensitivity in the first place, what you can do at home to keep it away, and if additional treatment is necessary. Welcoming patients from Memphis, Germantown, Cordova, and surrounding areas. Whether it’s out of boredom, nervousness, or your nails just get too long and nail clippers aren’t handy, biting your nails is one of the most common habits. While nail biting may seem to ease stress, at our Memphis dental office, we want you to know that it’s not only a great way to transfer germs that could make you sick, it could also lead to a variety of dental problems. Chips. We’re not talking about the salty, crunchy kind. We’re referring to the tooth enamel damage caused by nail biting. Fingernails are hard, and gnawing on them can lead to chips or cracks in the teeth. Wear and Tear. Like the rest of your body, your teeth need to take periodic breaks. If you’re constantly putting stress on them by nail biting, teeth may begin to wear down and could become uneven. Jaw Issues. Biting your nails may lead to TMJ Disorder, which causes painful headaches, locking or popping of the jaw, or jaw pain. Because of the abnormal way your jaw needs to move around to nibble off a nail, it may throw the alignment out of whack, leading to TMJ Disorders. Back to the Grind. The Academy of General Dentistry (AGD) states that nail biters may be putting themselves at greater risk for bruxism, or unintentional grinding or clenching of teeth. Grinding and clenching can lead their own host of problems including jaw issues, headaches, and tooth damage. Dental Bills. Since there is such a strong correlation between nail biting and dental problems, it’s not surprising that those who are chronic nail biters end up having higher dental bills than non-biters. According to the AGD, people who bite their nails end up paying an additional $4,000 in dental bills throughout their lifetime. If you’ve been biting your nails and can’t seem to stop, give our dental office in Memphis a call. We can talk about ways others have successfully broken the habit, check your mouth of any potential side effects, and work with you to get your mouth healthy. Welcoming patients from Memphis, Germantown, Cordova, and neighboring areas. The holiday season is one filled of festive fun, family time, food, and fellowship among friends. It may also mean a calendar packed with parties, days of travel, and long excursions to the mall. The last thing you want during this joyous time of year is to get sick. At our dental office in Memphis, we’re not only focused on your oral health, but your overall health too, and with these tips, you can help keep your body in tip-top shape all holiday season long. The hustle and bustle of the holidays can really take a toll on your ability to manage stress. But there are some easy ways to avoid succumbing to the craziness so you can keep your stress levels in check. First, make sure to stay within your holiday budget. This means managing the moolah spent on presents, food, and travel. The closer you stay to your established the budget, the less money-stressed you’ll be. Also, remember that a healthy balance between work and life is absolutely necessary for a stress-free holiday. Don’t overcommit to work obligations or overbook your limited free time. Cookies, Candy, and Drinks! Oh My! It’s common to walk into a holiday party and immediately be assaulted by heaps of food, drinks, sweets, and treats. While you’re completely expected to indulge in a little holiday feast, it’s important not to overeat or overdrink. A little secret from your dentist in Memphis is to pop a piece of sugarless gum before heading to the buffet. Chewing the gum tricks your brain into thinking you’re already eating, which means you actually eat less. 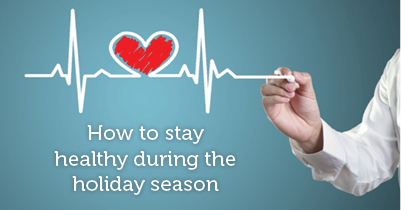 Along the same lines, avoid too many glasses of wine, eggnog, beer, hot cider, toddies, or Pimm’s Cup. The rule of thumb is to alternate each glass of alcohol with a glass of water and try limit yourself to two beverages per party. It’s always important to wash your hands, but during the holidays when we’re much closer to many more people, it becomes crucial. Keeping your hands free of germs is perhaps the best way to avoid getting sick. Wash well and wash often with soap and warm water, scrubbing for a least 20 seconds. Always disinfect your hands after you handle food, use the restroom, or interact with money or another person. At our dental office in Memphis, we want you to have the best holiday season yet, and following these tips can not only help you stay healthy, but can make it much more enjoyable too. From our family to yours, we wish you a happy, healthy, and joyful season. Accepting patients from Memphis, Germantown, Cordova, and surrounding areas. 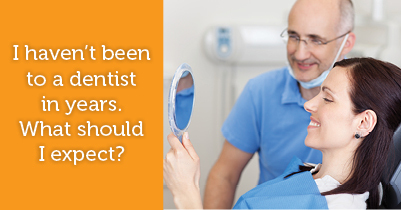 If you haven’t been to the dentist in a few years, you may be worried about going. Whether it’s due to fear of the dentist, nervousness of what they’ll find, or you really want to avoid getting a lecture, we encourage you to put your anxiety aside. We’ll never lecture you at our dental office in Memphis, and are here to give you the skinny on what to expect. Depending on how long it’s been since you’ve seen your dentist in Memphis, your first visit back may take longer than the last visit you remember. This is not meant to scare you but rather to comfort you. We want to take our time getting to know you and your mouth, your concerns and your goals, and the health of your smile. It’s all about making you comfortable not just with coming back to the dentist, but with our office and staff, too. We take your concerns as seriously as we take your oral health. If we can answer any questions you have about our office, our services, or your first appointment, please call our dental office in Memphis. We’ll treat you with respect and work with you to get your smile back to health. Breathing out of your mouth may not seem like a huge problem, but in terms of oral health and facial development in children, mouth breathing can create some concerns for your dentist in Memphis. If you’re experiencing any of these problems, or if you know you are a mouth breather, call our dental office in Memphis. We will work with you to fix the problem and get you back to health. Breathing out of the mouth is usually caused by Chronic nasal obstruction (CNO). When your body can’t get enough oxygen by breathing through your nose, it automatically resorts the only other thing that can supply your body with the oxygen it needs – your mouth. This may lead to many oral health problems. Mouth breathing can quickly dry out the mouth and decrease saliva production. Saliva is extremely important for neutralizing acid and helping to wash away bacteria, without it, the chance of tooth decay and cavities increases. A dry mouth can also lead to bad breath and other serious concerns. Dry mouth is one of the causes of gum disease, a dangerous oral health problem that can create health issues throughout your body including stroke, heart disease, and heart attacks. In children, breathing from the mouth may lead to poor sleep, lower oxygen concentration in the blood, and facial deformities. Since humans are designed to breathe through their noses, when they try to breathe out of their mouths, their posture has to change in order to keep the airway open. This may cause developmental problems, especially in children who are prone to mouth breathing. When a child is breathing from his or her mouth, they probably won’t identify a problem since it is their norm. However, if left undiagnosed and untreated, the face can begin to grow long and narrow, the nose can become flat and the nostrils small, and the lips can be thin on top and quite pouty on the bottom. This, in addition to the other negative effects to oral health, shows that mouth breathing is a whole body problem and should be treated as early as possible. At our dental office in Memphis, we’re trained to look for the signs and symptoms of mouth breathing and are often the first to notice a potential problem. This makes regular appointments with us even more important. If we catch mouth breathing early, we can determine what’s causing it and how to fix it to prevent other problems later on. Serving patients in Memphis, Germantown, and Cordova. In recent years, using antibiotics as a pre-appointment preventive tool for fighting infection was a common recommendation for dental patients with heart disease. However, with more research evidence emerging, the American Heart Association has revised the recommendations for using antibiotics prior to appointments with your dentist in Memphis. 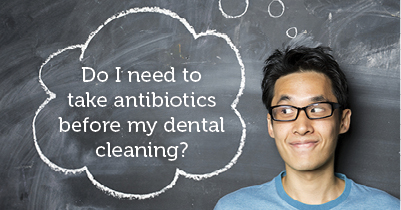 It used to be common for a heart patient to take antibiotics before any dental appointment, including cleanings, to lower the chance of infection spreading into the heart, which may cause serious problems. It was widely believed that the bacteria in the mouth could enter the bloodstream during a dental procedure and lead to infection. However, there was no scientific evidence to support a link between dental treatments and infection. Newer studies have shown that the overuse of antibiotics as a precaution to infection could actually do more harm than good. In fact, the new studies illustrate the fact that the risks of taking preventive antibiotics seriously outweigh the benefits. Overprescribing antibiotics could lead to the development of resistant bacteria, which means the antibiotics are ineffective at keeping infection at bay and the bacteria is left to thrive, increasing the possibility for a more serious infection. In light of the new studies, dentists have stopped prescribing preventive antibiotics as much. No matter if your diagnosis includes one of the above conditions, or if you’re a patient with a different heart condition, we encourage you to always get advice from your cardiologist before your appointment with your Memphis dentist to see if taking an antibiotic is right for you. One of the best ways to keep bacteria away and infection from occurring is always to make sure you brush twice a day and floss at least once a day. Additionally, regular appointments at our dental office in Memphis can ensure that your mouth is healthy and at a low risk for developing infection. We would like to welcome our newest staff member Lindsey Little to our team. Lindsey was born and raised in Memphis. She graduated from the University of Memphis and is a huge Tigers fan. Lindsey loves going to sporting events and spending time with her friends and family. A huge congratulations to the new Mrs Jenna Kasser. Our lovely hygienist Jenna recently got married to her high school sweetheart Jake. The wedding ceremony was beautiful, followed by an evening of dancing, laughter and great food! Now to the dentistry…..For all those who are interested in a straighter smile, we are now providing Six Month Smiles and Clear Correct in addition to Invisalign. These are great options for creating a beautiful, straight smile without wearing metal braces! Our Doctors are always dedicated to provide the best dental care with the latest techniques. For our nervous patients, sedation dentistry continues to be an invaluable tool and we are excited to announce that we will have the option of placing implants to replace missing teeth for our patients, in the near future! With your busy schedule, finding the time to get to the dentist for a check-up is hard enough. But if you need a dental crown, you’re going to have to find the time for two dental appointments. Until now. CEREC technology has made the one-appointment crowns at the Memphis dental practice of Avery and Meadows a reality. CEREC stands for Chairside Economical Restoration of Esthetic Ceramics, and it’s changing the way we practice dentistry. Before CEREC, if you had a damaged or decayed tooth that needed a crown, you had to go the dentist twice. During the first appointment, the tooth was prepared, you had to have an impression made of the tooth and then you were given a temporary crown. The dentist then sent your molds to a lab to have the permanent crown fabricated. Once the final crown was sent back to the dentist, you returned to have it cemented onto your tooth. That meant two dental visits. Two Novocain shots. And a lot of hassle. With CEREC, everything is done in one appointment. First, CEREC Technology takes a precise digital image of your tooth (no gagging on messy mouth molds!). Through Computer Aided Design (CAD), CEREC uses the digital image to create your custom restoration. A high-speed diamond bur mills the restoration out of solid ceramic to meet your unique specifications. Once the restoration is complete, it is bonded to the tooth using a state-of-the-art adhesive. With CEREC, there’s fewer shots needed, less drilling required, no messy impressions and no second appointment. It makes the process of getting a crown much easier, convenient and precise. Learn more about dental crowns or CEREC technology in Memphis.